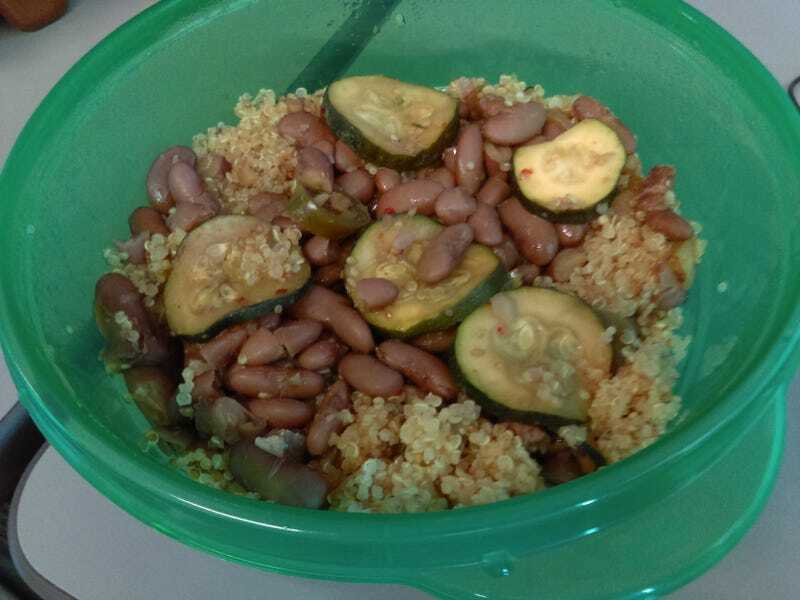 I am having sauteed onions, garlic, zucchini and Jalapenos simmered with kidney beans in teriyaki sauce served over roasted quinoa. This is part of my eat healthier plan. I started with rice and beans and have expanded to quinoa and the teriyaki is a new flavor. Kinda looks like a bowl of vomit but it tastes so good.